Wow, it sure has been a long time, hasn’t it?! It is crazy to think that I have not posted since the end of December! Well, it is now well into 2013 and I am returning to the blogging world! I have definitely missed the creative freedom of blogging and will be once again fully utilizing it. You may ask what has been going on since I last posted, and I will tell you…life has been going on. I moved back to Woodinville and am currently seeking out what life chapter I am now in. While I figure it out, I have time to help at home which feels amazing and spend time every day looking for new career opportunities. I know there will be something great next! Hope you have been doing well! Just a couple days ago this blog post arrived in my inbox. I have been following this blog for sometime and always enjoy getting reminders of The Journey’s new posts. Side note-check out the other posts, they are amazing! In regards to this specific post…God is waiting for you- go to Him. Unlike the people of this world, He will NEVER let you down, He will NEVER be late and He will ALWAYS be there for you. So, check out this post, leave your thoughts and explore more into The Journey’s posts. So here is the deal…I am looking for people who may be interested in guest posting here on my blog. It is a two way win if you think about it. First, it provides you with a chance to get your thoughts and voice heard. If you have your own blog or not, this can be a good opportunity for you. Second, it helps to diversify my blog and hopefully reach new readers/followers. So, I am open to your ideas! Let me know if you are interested and we can go from there! If you are interested, comment here and I will be in touch with you. Looking forward to some new ideas, thoughts and posts! 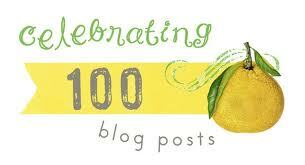 Well, once I push “publish,” this will be my 100th blog post on this site! When I posted my first post on December 30th, 2010 I had no idea whether or not I would keep going with it. I have not always been the best with keeping a journal in the past, but this seems to be different. And now, 17th months later, here I am with my 100th! That is just a few random facts, but I find them interesting enough. I have written about why I blog before, so I will not say much now. What I will say is that I have greatly appreciated the creative outlet that this blog has provided. It has allowed me to write and post a lot of what is on my mind and what I have gone through. Granted, not everything that has happened is here, but a good amount has been written about. I look forward to continue writing and posting for a long time to come. In fact, I have 7 different drafts to posts that will be coming up in the near future! So no worries, this blog is not going anywhere! I am especially thankful to those of you who have read this, and even more so for those of you who have subscribed. I greatly appreciate your support, comments and everything! If you ever have questions or want me to write about something, please do not hesitate to ask-just post a comment somewhere! Well, there’s my 100th! Not super glamorous but just what I wanted to write 🙂 Be sure to be on the lookout for more posts on faith, life, music and whatever else may be on my mind! For as long as I can, I will continue using this blog. A special note to those of you who read my blog. Whether this is your first time reading what I write, or if you are an avid follower, I wanted to say thank you. It is encouraging to know that there are people out there who are actually reading what I write and seeing what I post. However, I do not write just to have people read what I write. If that was the sole motivator behind my writings, then I would write and post what I thought the majority of people would want to read and see. Basically, I would write to appeal to the masses…but this is not why I write. Many people ask me why I keep a blog and why I write so much. The easiest way to answer this is that it is a creative outlet. By keeping a blog, I have a medium by which to express the ideas, thoughts and feelings in my mind in a mix of a creative and structured way. This blog is my outlet and for as long as I can, I will keep writing and posting…and subsequently you can keep reading. All that being said, I do appreciate those of you have subscribed to my blog. It is good to know that at least a few of you out there are seeing my posts 😉 If there are any of you who would also like to subscribe, I welcome it. 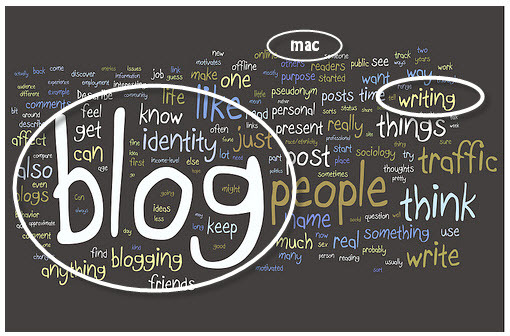 It is super easy to whether you have a blog or not, just check out the side panel for the box to click. If you have a blog and decide to follow me, I will follow you right back! If you ever want to provide me feedback, ask questions or give ideas for posts, please let me know! I welcome and encourage all of it. So if there is something you have wanted to ask me, or a topic you want to hear my thoughts about, comment somewhere and let me know. If you read a past post and want to know more, post a comment. I try hard to reply to everyone who posts and respond with a thought out answer. I really love questions, so feel free to ask me anything! I look forward to hearing from you! Thank you for reading now and into the future! Stay tuned, you just never know what I may post!